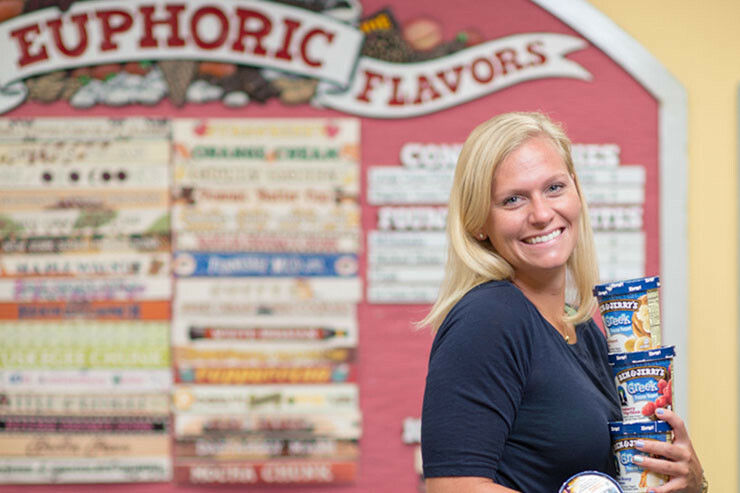 Kirsten Schimoler at Ben & Jerry’s talks about food science as a career and scientists figure out how to keep produce healthier. Supermarket strawberries have become bland through decades of agriculture, so now scientists are figuring out how to bring its flavor back. 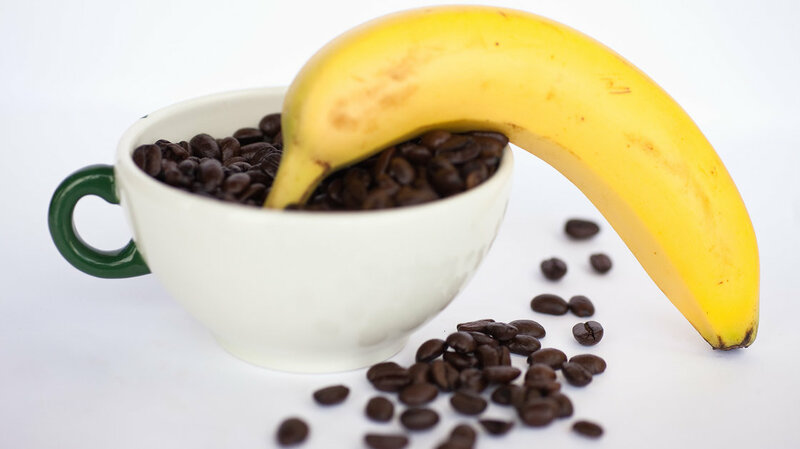 In the meantime, that banana isn’t going to help with your caffeine jitters. 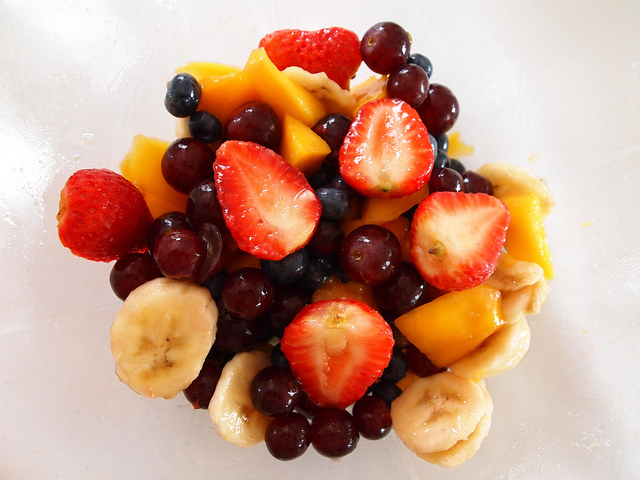 Fruit salad can be made throughout the year, but nothing beats a crisp fruit medley on a hot summer afternoon. There are very few limits on what can be a fruit salad ingredient. If the object in question is fruit, it can go in. Segregating fruit from non-fruit seems simple, but from a botanical point of view, classifying these sweet and juicy plant products gets complicated. But, if armed with knowledge and lemon juice, anyone can achieve this delicious and vibrant potluck offering. 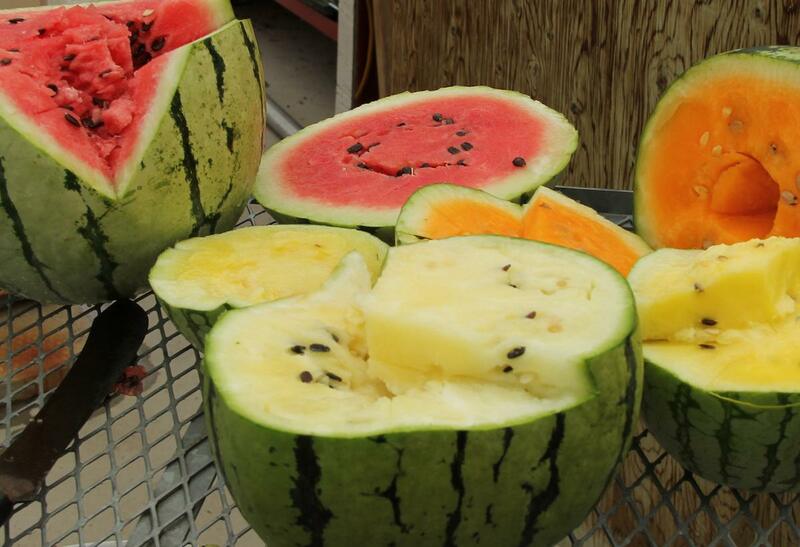 A fruit is the structure of a plant that bears the seeds. A plant’s flower houses the female reproductive parts, namely the ovary, in the flower’s center. When fertilized, parts of the ovary develop into seeds, and the rest becomes the fruit. 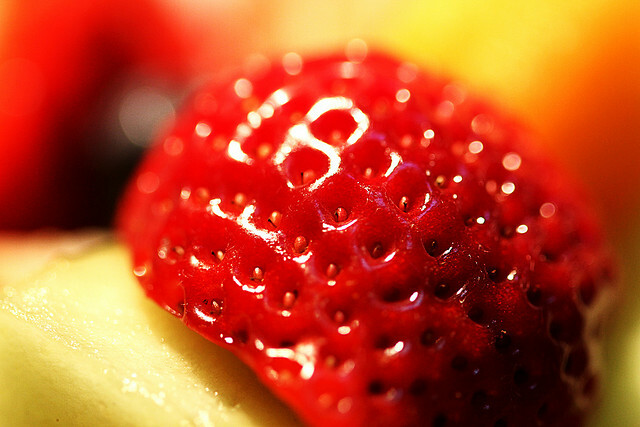 The average person defines a berry as anything whose name ends in the suffix, –berry. But to a botanist, a berry is a fruit containing multiple seeds in its interior, embedded in the flesh of the ovary. This includes blueberries, tomatoes, eggplants, grapes, bananas, persimmons, and chili peppers . A botanically-correct berry salad could be very savory; perhaps very spicy. Blackberries, mulberries and raspberries all fall into the category of berry-imposters called aggregate fruits. Each little bump on a raspberry or blackberry is actually an individual fruit, as each is its own separate ovary, formed from one flower. A pineapple is considered a multiple fruit. Whereas an aggregate fruit forms from one flower, a multiple fruit is the product of the fused ovaries of a cluster of flowers, thus each pineapple is one large composite fruit. 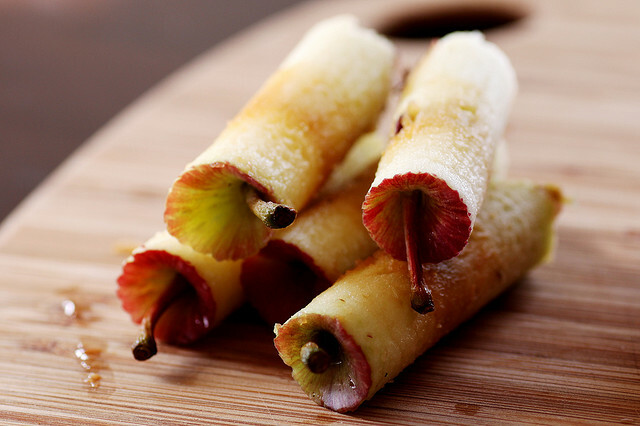 Want to impress guests with a “multiple fruit” fruit salad? Your (somewhat limited) options include breadfruit, osage-orange, fig, and pineapple . 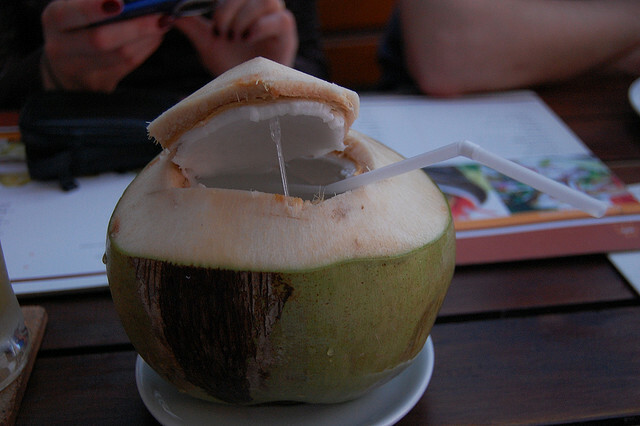 Technically speaking, a coconut is a fibrous one-seeded drupe. A drupe is a fruit with a seed enclosed by a hard stony shell, like a peach or olive. An unprocessed coconut has three layers. The smooth, green, outermost layer is called the exocarp. The next layer is the fibrous husk, or mesocarp, which surrounds the hard woody endocarp, which surrounds the seed. A supermarket coconut usually has been freed of its two outer layers. The part most likely found in a fruit salad are just shavings of the seed’s endosperm. This delicious white lining is meant to nourish the seedling coconut tree as it germinates . Apples, pears, and bananas notoriously turn an unattractive brown after dicing. 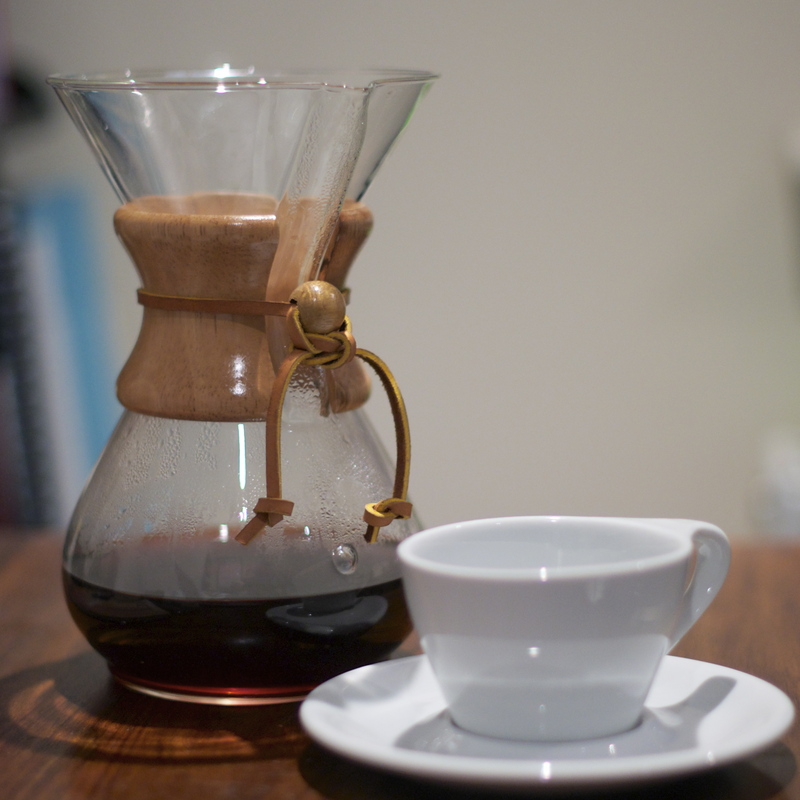 This is because they contain an enzyme called polyphenol oxidase . When the fruit is sliced, the enzyme is free to react with oxygen, as well as iron-containing phenols in the apple cells that had previously been kept separate. The products of these reactions are ugly, brown chemicals. The key to preventing or slowing any enzymatic reaction is denaturing the enzyme. 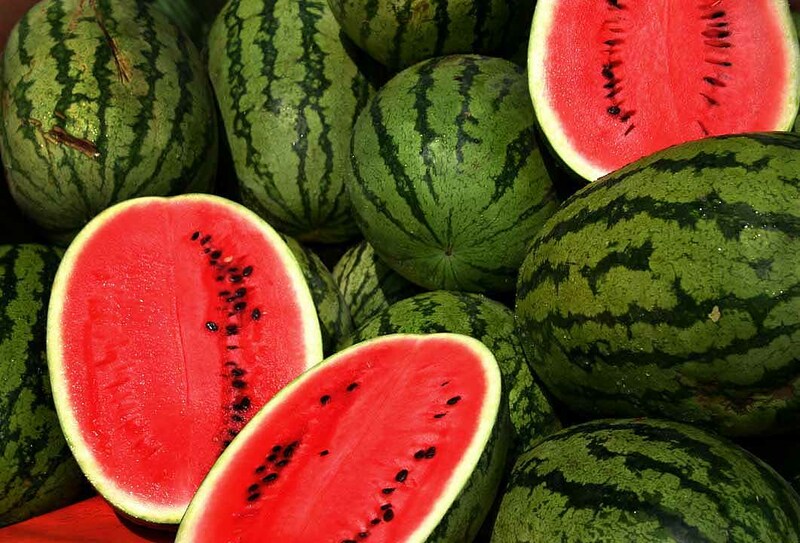 Heat will do the trick, as will reducing the fruit’s contact with oxygen by putting cut fruit under water or vacuum packing it. The simplest way to avoid browning is to apply lemon juice or another acidic substance on the cut surface. Enzymes can only function within a specific pH range, and acidic lemon juice will reduce the pH on the surface of the fruit. For those who fiercely oppose brown apples, try adding add sulfur dioxide , a chemical that acts as a preservative by binding to reactants in the fruit to interrupt the browning reaction. For anyone truly passionate about keeping their sliced fruits bright, upgrading to a sharper knife can help. A low quality steel knife may be corroded, and can make more iron salts available for the browning reaction. Lloyd, Robin. “Surprising Truths About Fruits and Vegetables.” Live Science. N.p., 22 July 2008. Web. “Aggregate Fruits.” Fruits Info. N.p., 2004. Web. “Is a Coconut a Fruit, Nut or Seed?” Library of Congress, 23 Aug. 2010. Web. 10 Aug. 2014. Helmenstine, Anne Marie. “Why Cut Apples Pears Bananas and Potatoes Turn Brown.” Chemistry.about.com. N.p., n.d. Web. 11 Aug. 2014. Imagine yourself in elementary school parading through the auditorium during your school’s coveted science fair. You round the corner, nearly knocking over the perfectly aligned row of tri-fold poster boards, when you happen upon the fair’s pièce de résistance. Suddenly, science has never been so cool. It’s an erupting volcano! You’re ooh-ing and ahh-ing as you watch the “molten hot lava” spew out from the angry papier-mâché mountain. You inquire about the sour smell in the air and are told by your classmate that this tabletop magic was nothing more than a perfectly planned mixture of vinegar and baking soda. Vinegar is an aqueous solution that contains acetic acid and water. 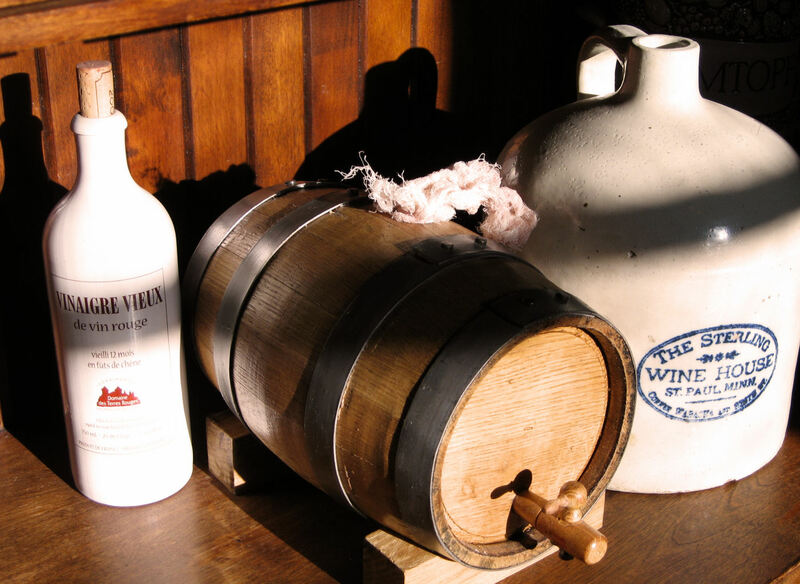 Historically, vinegars were often produced by exposing wine to contamination by harmless, airborne bacteria known as Acetobacter. Drosophila melanogaster, a geneticist’s model friend, commonly known as the fruit fly, is regarded as a potent vector for the propagation of the bacterium. This particular strain of bacteria facilitates the conversion of ethanol, through aerobic oxidation, into the major component of vinegar: acetic acid. 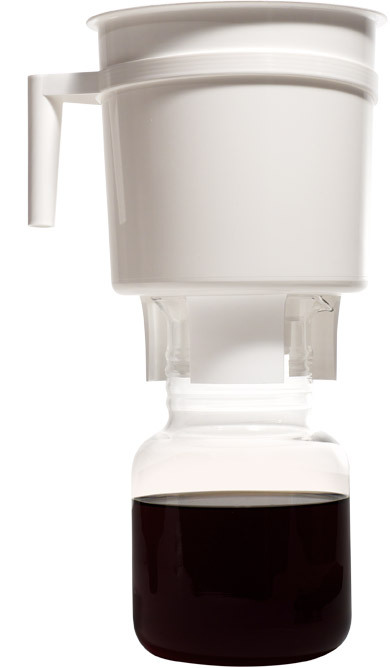 Water is often added to commercially available vinegars to make the substance more suitable for household handling and consumption . The volcano experiment is a simple case of an acid-base reaction where the baking soda, a sodium bicarbonate (NaHCO3), reacts with acetic acid (C2H4O2) in the vinegar to produce an intermediate product known as carbonic acid (H2CO3). The intermediate decomposes and is converted into a carbon dioxide (CO2) gas, which rapidly escapes from the solution accounting for the reaction’s eruptive characteristic . But enough about chemistry, what about the food? Vinegar has a plethora of culinary applications and serves as an effective food preservative and delicious sour condiment. 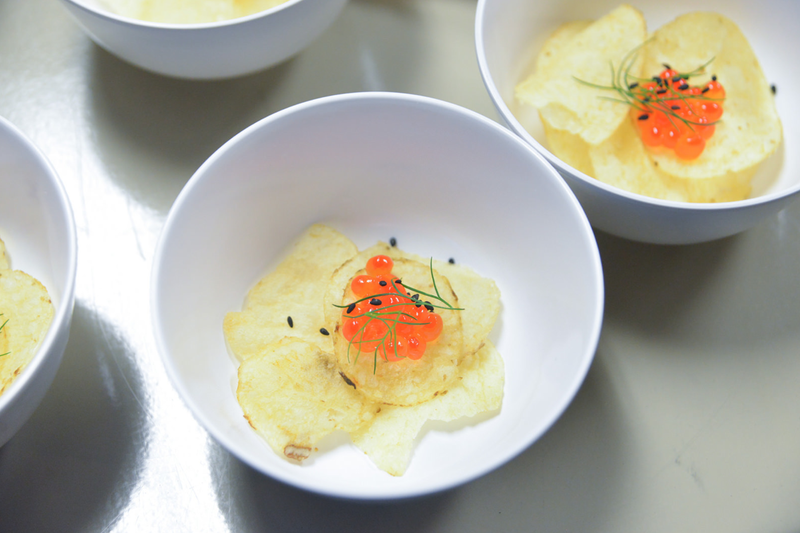 From soup dumplings to pickles, vinegar is here to stay! Quite literally, the acidic characteristic (pH less than 4) of vinegar prevents harmful bacterial growth that allows for an extended, indefinite shelf life. So store your vinegar properly and you will be able to keep it for a very long time! The variety of vinegars is limitless and can be made from virtually anything that contains sugar. Alcoholic fermentation involves the conversion of carbohydrates into ethanol, which can later be converted into acetic acid. One of the most widely available vinegars in the Philippines is coconut vinegar and is made from fermented coconut water. It is typically used to tenderize meat, which is accomplished when peptide bonds in complex protein structuresare disrupted. But it often served as a side condiment to season many different dishes. Two of my favorite Filipino dishes are called (I) KINILAW (key-knee-lauw) and (2) SISIG (see-seg) and are both prepared with ample amounts of vinegar. 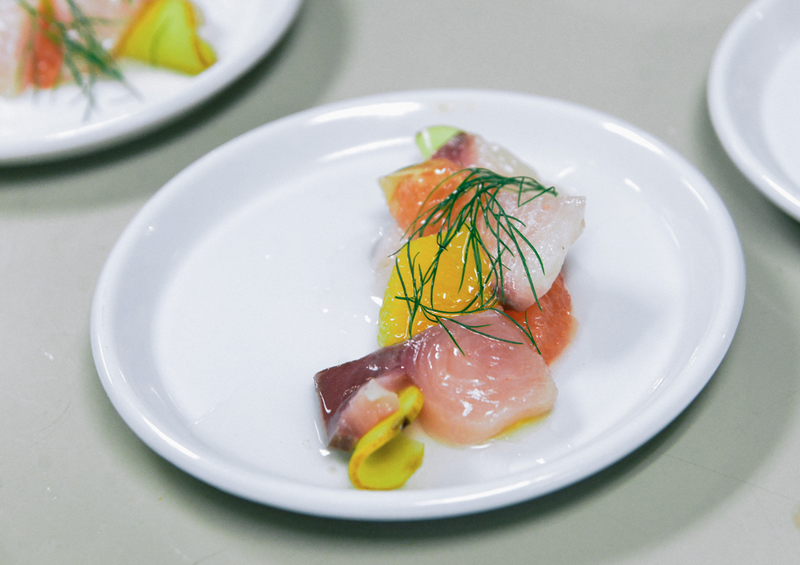 The kinilaw is a style of ceviche that infuses ginger and relies on the acidic nature of vinegar to “cook” the fish used in the dish. Lastly, sisig is popular dish in the city of Pampanga and translates to “to snack on something sour”. 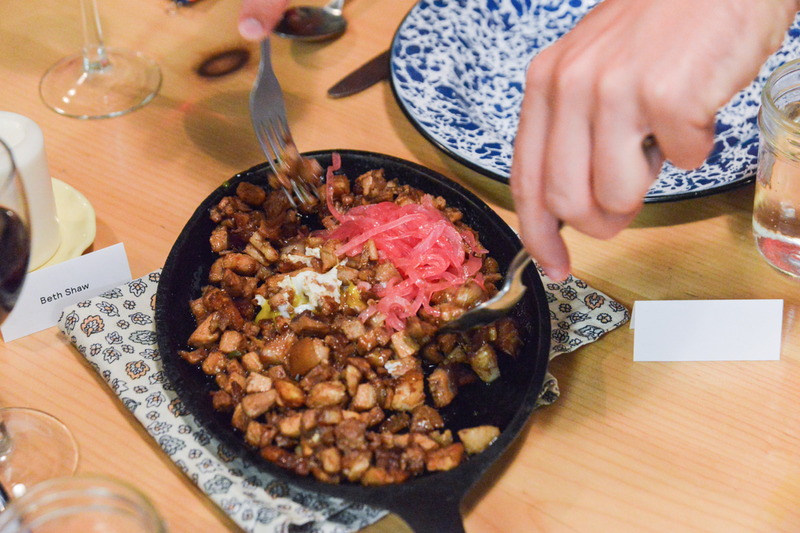 It is often served with sizzling vinegar marinated pork belly, spicy chili peppers, fresh red onions, cracked egg and native limes to add additional sourness. Yakushi T, Matsushita K. Alcohol dehydrogenase of acetic acid bacteria: structure, mode of action, and applications in biotechnology. Appl Microbiol Biotechnol. 2010;86(5):1257-65. Why does baking soda and vinegar react to each other? UCSB Science Line.